After being kidnapped from Ukraine and illegally imprisoned in Russia, Oleg Sentsov was just sentenced to twenty years, even after his accusers in Putin’s kangaroo court recanted their testimony. Sentsov is famous, so just think what is happening to the less well-known Ukrainian civic leaders rounded-up Gestapo-style by Russia. Pavel Yurov does not have to imagine. The Euromaidan-supporting playwright was tortured and imprisoned by Russian-backed separatists for seventy days. 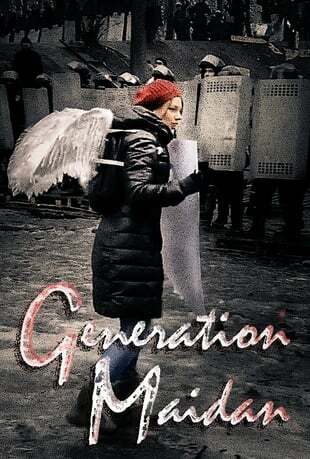 Yurov is one of many young Ukrainians who tell their stories in Andrew Tkach’s Generation Maidan: a Year of Revolution and War (trailer here), produced in conjunction with the Ukrainian Babylon’13 filmmaking cooperative, which screens during the 2015 Portland Film Festival. In late 2013, Ukrainians of all walks of life finally tired of the corrupt Yanukovych regime when the elected autocrat pulled out of negotiations with the EU to curry favor with his Russian patrons. Initially, a small group of protestors gathered in Maidan Square, but the outrage caused Yanukovych’s harsh response would ultimately attract hundreds of thousands of peaceful protestors. This process would repeat. Tragically, Yanukovych would use every dirty trick in the book against the movement, before settling on undisguised brute force. There is no question the Maidan protests were a confusing time, but Tkach does an excellent job of establishing the historical timeline, step by step, while also capturing a visceral sense of what it was like to be under fire from Yanukovych’s notorious riot police, the Berkut. Some footage is absolutely jaw-dropping, such as the incident in which a genuine Maidan protestor placed himself between the armored Berkut line and a gang a balaclava donning agent provocateurs, “attacking” the police to provide them a phony justification for a full scale crack-down. Sadly, the Western media has been too prone to accept these crude manipulations peddled by the Russian state media, but such video helps set the record straight. Unfortunately, the subsequent war precipitated by Russia and its separatist clients constitute even murkier waters for media, due to the nature of civil wars. However, anyone should be able to understand the implications of Yurov’s harrowing experiences. Like Dmitriy Khavin’s Quiet in Odessa, Generation Maidan constitutes real reporting from Ukraine at a time when it is in short supply. It also captures the spirit of the Maidan movement, on personal, cultural, and generational levels. Perhaps the character of Maidan is best represented by Alexandra Morozova, who tirelessly played piano to raise the morale of Maidan activists. Fittingly, her music also serves as the film’s soundtrack, giving it a great deal more class than your typical battlefield dispatches. Clearly, Tkach and his crew put themselves in harm’s way to tell these stories. In fact, his cameraman recorded the first Maidan death while he himself was receiving medical treatment. (Of course, it is much easier to just repurpose a Russian press release from the hotel bar.) 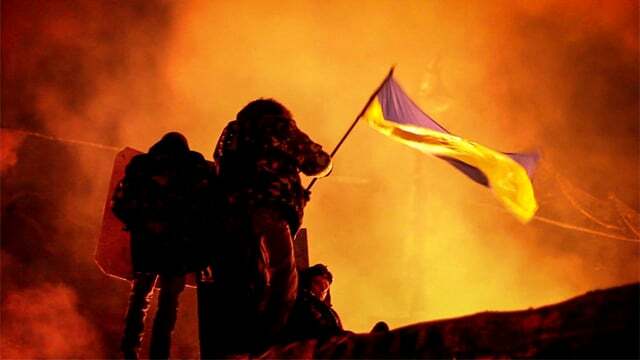 Their images of state-sanctioned brutality and military aggression will make your blood run cold, but the resolution of young, idealist Ukrainians is inspiring. It is also worth noting all proceeds from the documentary will go to the Ukrainian Prosthetic Assistant Project. Highly recommended, Generation Maidan screens again tomorrow (9/5) at this year’s Portland Film Festival, where it just had its American fest debut.